I was in Central Oregon this past weekend for a high school reunion and visited a couple of quilt shops in Bend. They are great shops and well worth visiting if you are in the area. The first shop I saw was Quiltworks (www.quiltworks.com), a lovely shop with a great mezzanine where they have changing quilt exhibits. 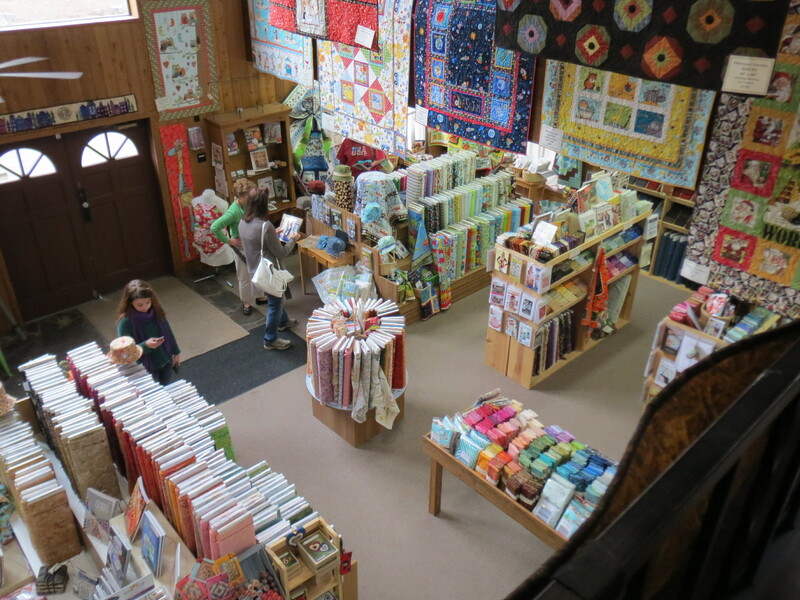 The photo below was taken looking down at the shop from the mezzanine. The other shop I visited was BJ’s Quilt Basket (www.bjsquiltbasket.com) , another wonderful shop. BJ’s shares their space with a sewing machine dealer – a nice resource when students have machine problems during a class. The photo below shows some of their space. Both shops have a great selection of fabrics. 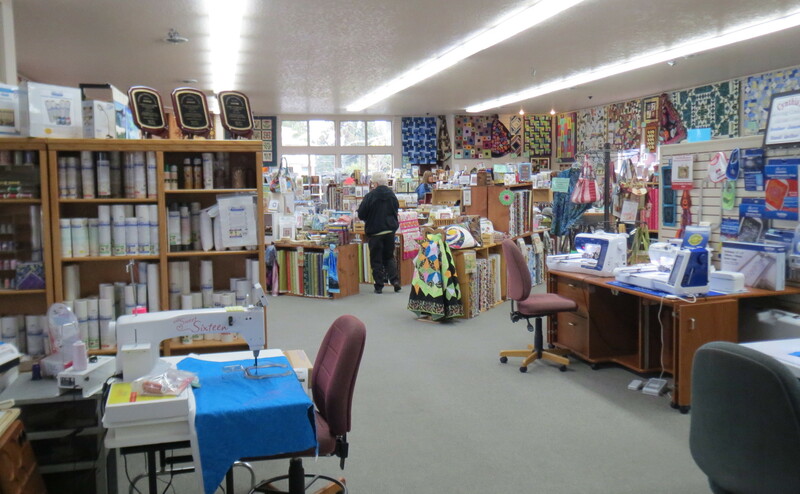 There are several other quilt shops in Bend and the neighboring towns, but I didn’t have time to visit them. Maybe I will get back there sometime soon. This entry was posted in Quilting and tagged quilt shops on September 30, 2013 by Shirley at Mystery Bay Quilt Design.